Usually they are custom made for a company for each information piece or data set. Quality infographics cost anywhere from $500 to $2000+. 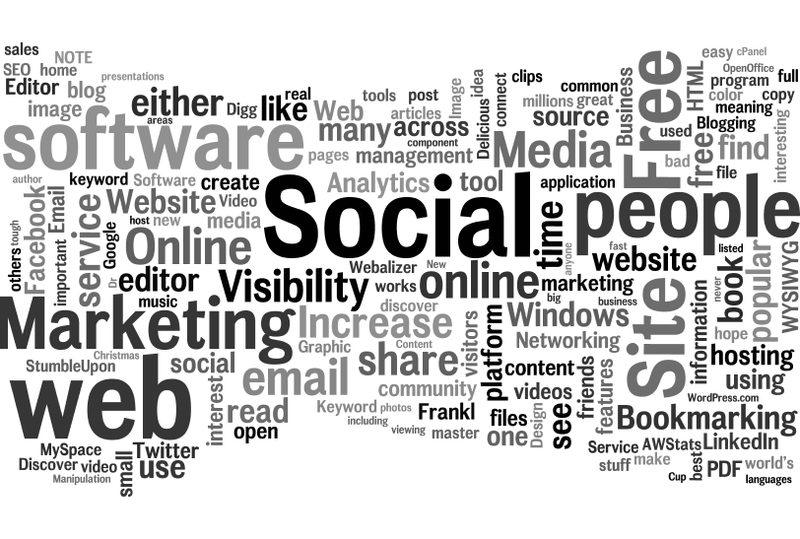 A Wordle is a software program that takes a set of words and creates a neat looking graphic for you. You can either manually type any text you want or you can use an article or blog post or even entire blog feed to create one. This is one I made for a site header but took down because it was just too busy. Of course you can use less words or not use the RSS feed to create it (which I did with the one above). The completed Wordle is hosted (for free) either privately or on a public gallery at Wordle.net with your name and website address. The site address link in the gallery is not live (non-clickable) which is not good for link building but is a nice channel for professional branding if you make more Wordles. You can print your Wordle out or download it as a .PNG file to be used online. But one cool thing about marketing with infographics is that you can create an embed code and offer your Wordle to any visitors. Share this Image On Your Site (Cut and Paste the Code below). Please include attribution to ncwebdiva.com with this graphic. You should visit http://www.wordle.net to create one for yourself.